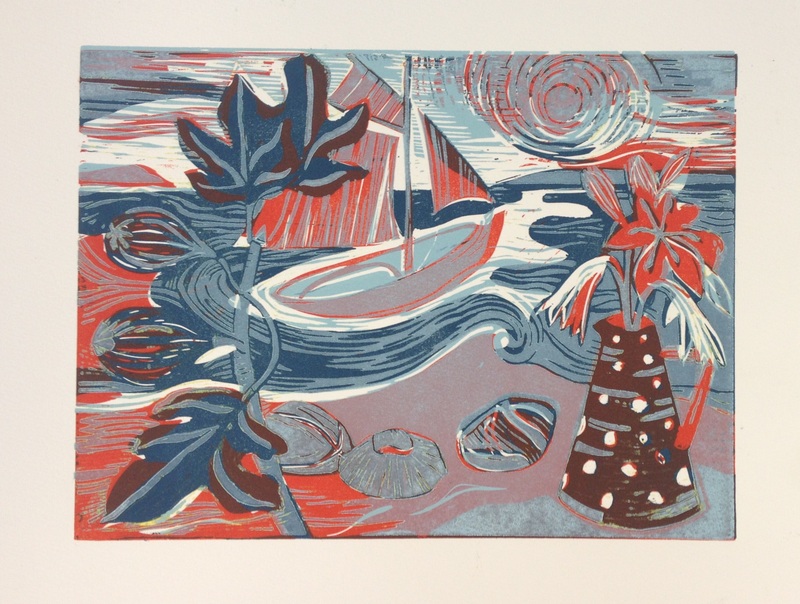 I’m really excited to have dropped some Lino prints down at The Square Gallery. The south coast in Cornwall is full of agapanthus at this time of year. 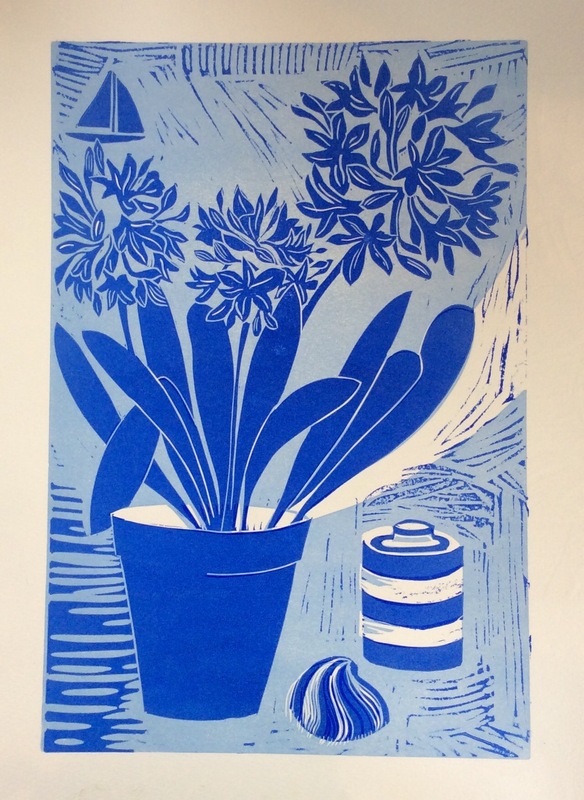 So it seemed only right to make a print…it’s the Cornish Blue I love and the huge bulbous head of this magnificent plant is certainly BLUE. 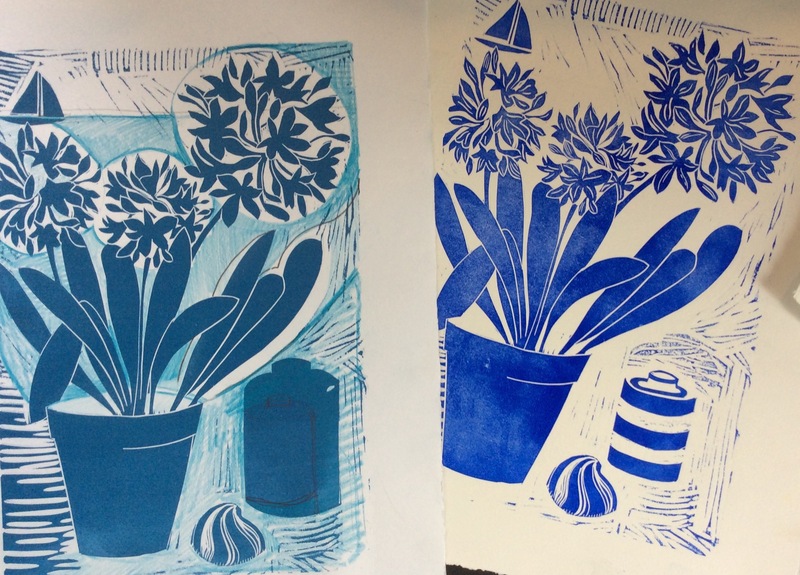 I’ve been continuing to combine the Cornishware pottery, still life qualities and an element of sea into my designs. 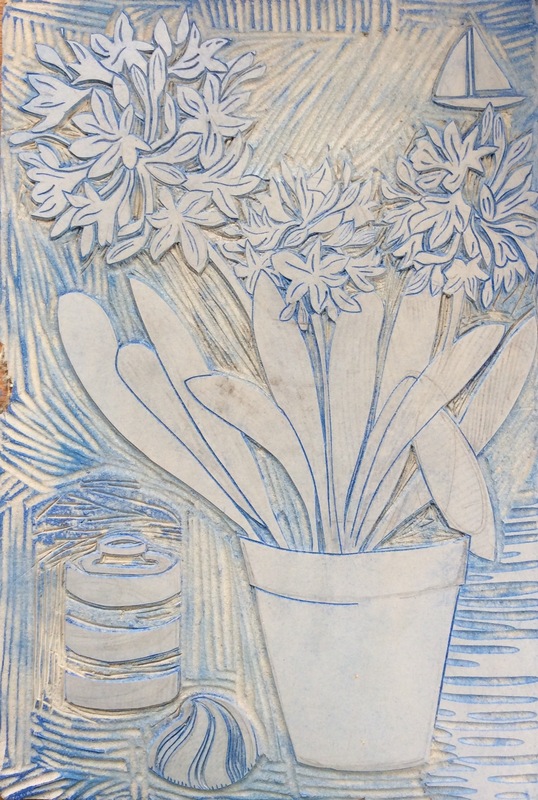 The flatness of the Lino print, the quality of the clean line and the overlaying of colours….what to cut away and what to leave…this all makes working in Lino incredibly challenging and exciting.